Hey everybody! Welcome to the May edition of the Gardeners' Digest. The Garderners' Digest is simply a monthly update from the Garden Girls, the design team at Two Peas In A Bucket. It's a place for us to share what we're currently working on, inspired by, using in our projects, etc. A little diary of sorts for you to keep up with all of us on our personal blogs as well as over at Two Peas In A Bucket. Browsing the gallery at Two Peas is one of my favorite things to do when I'm looking for inspiration. 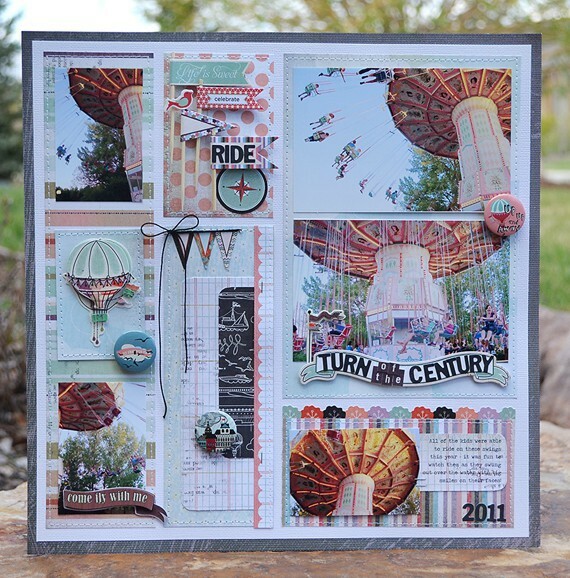 I fell in love with this layout by fellow Garden Girl Wendy Sue Anderson. I love how Wendy arranged her stunning photos in a grid design and the embellishments and extra touches are just fantastic! Garden Girl Amy Heller just launched a brand new workshop called Through the Kaleidoscope with: Making Sense of Color 4 Scrapbooking. 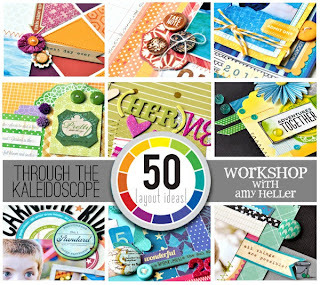 I was lucky enough to contribute a layout to this workshop along with several other fabulous guest designers. The content of this workshop will be available immediately upon purchase. The lessons are available for you to work at your own pace and upon purchase can be accessed in the "Workshops" section under "Classes & Events." A private message board forum is also available to ask questions for Amy and to connect with other participants. Enjoy! Cost of workshop: $25 Buy now! The content of this workshop will be available immediately upon purchase. The lessons are available for you to work at your own pace and upon purchase can be accessed in the "Workshops" section under "Classes & Events." A private message board forum is also available to ask questions for Shannon and to connect with other participants. Enjoy! And now for the GIVEAWAY! 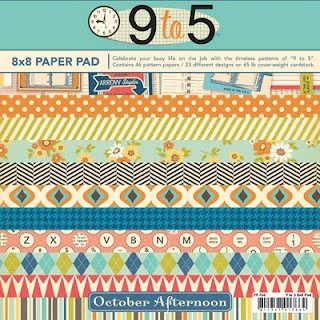 To be entered into a giveaway to win a spot in Amy's class simply leave a comment on this blog post. Be sure to include your Two Peas username so I know how to contact you if you've won! If you're the lucky winner and you've already purchased the class - no problem! You will be given the option to either be refunded your money or pass the free spot along to a friend! This giveaway will be open until Saturday 5/26 at midnight EST. I will post the winner on Sunday 5/27 right here on my blog. One entry per person please. Good luck! Thanks so much for stopping by today - I hope you had fun seeing a little peek into what's been happening here in my scrap studio. 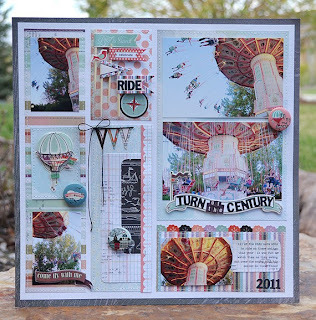 Next you'll want to stop by Amy Heller's blog and see what she's been up to. See ya soon! I saw your DC page... pretty!! I just got my hands on the Sweet Day collection! LOVE it! 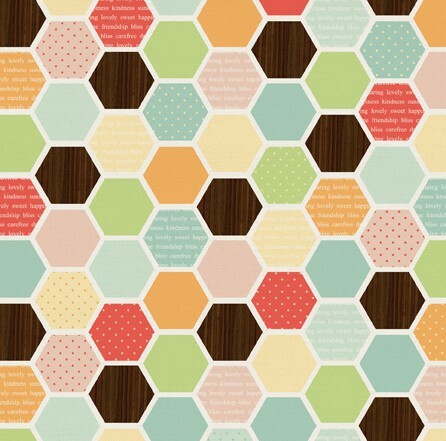 I too love the hex paper, chevron print too. ;) I hope you are having a good week! I'm loving the map page. Always inspiring. 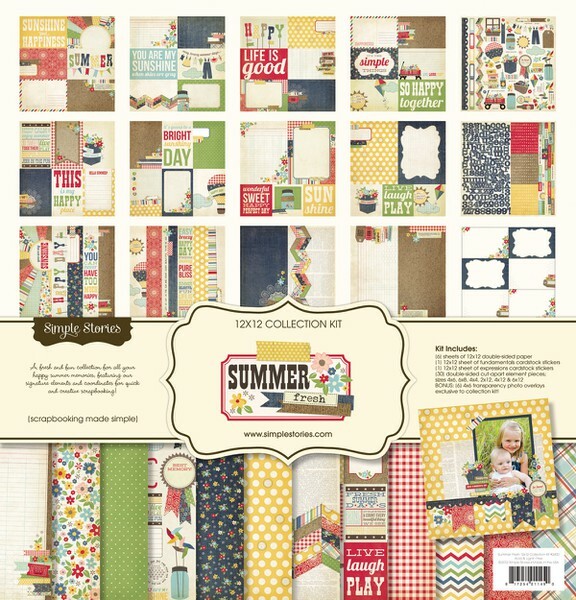 I love the Summer Fresh collection, too! I'm ncstamper at 2peas. I would love to win this class! Thanks for the chance! Great giveaway. Super inspiring class. love your videos and layouts thanks for sharing! I absolutely love your DC page! And thanks for the chance at the spot in the class! I'm GwenLafleur on 2Peas. Love those cloud/sun stickers, too! Love the page!! thanks for the fabulous chance to win this fun class!! It would be fun to win this new workshop and to see your contribution. My 2Peas name is seawest. Looks like a fabulous workshop. Thanks for a chance to win a spot. Love your DC layout. Might have to scraplift it. What a fun travel page! Your cart looks VERY similar to mine! Good taste LOL! Love that Washington DC page! I love your product picks! Thanks for sharing. Thanks for the great giveaway! I would love to take this class! I'd love to take Amy's class! Thanks for the giveaway. I really like your map page - so cute. Thanks for the chance to win the class. I added it to my two peas pinterest board a few days ago - it sounds awesome! I'd love to win a spot in Amy's class. Thanks! Thanks for the chance to win! My 2peas name is gus-gus. Very generous giveaway. Thanks. Two Peas name is OK-Scrapper. 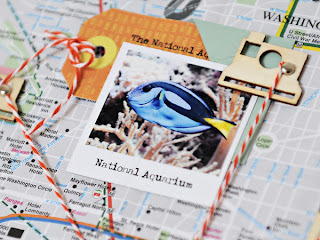 I bookmarked your project yesterday, I just love it, just perfect for vacation season!! Thanks for a chance to win! The DC page was very pretty. I recently order the Summer Fresh collection. It's so lovely. Thanks for the chance to win. Would love to win a spot in this class. 2Peas name is gerryglow. Thanks for the opportunity. Thanks for the inspiration! I'm sugaredsongbird at 2Peas! Thank you for the opportunity to win. I'd love to take that class. I saw your DC papge and loved it! Love what's in your card too! Thanks for the chance. Thanks so much for the chance! My pea name is momm! I really like your travel layout! 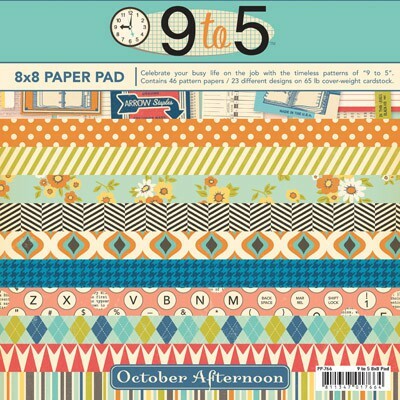 And I love your five things - total toss up between the hex paper and the SC clouds. Very pretty page! I would love to take this class. Color is the hardest thing for me. I would love to learn how to embrace it. I hope I'm the winner, I want to take this class. I love seeing what you all are inspired by/love!Thanks for a chance to win! love yoru inspirations!! thanks for a chance to win. Thanks for the chance to be a part of this great class! I am also inspired by Wendy Sue's LO. :) My 2peasname is bckwml. Thanks for a chance to win. 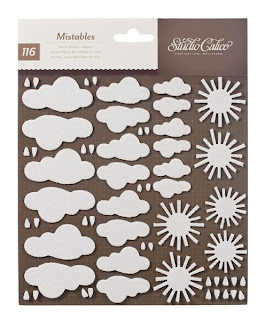 I'm going to have to add the Summer Fresh to my wish list. I've been trying NOT to! Oops! I'm LonR on 2peas! DC Page is INSANELY AWESOME! EAugustin14 is me on 2peas thanks for the chance. Hi Lynn - so LOVE your DC page. Uber fabulous! I'm sassiescrapper on 2peas. Thanks for the chance to win! Love te dc page - wow! Need all the help I can get with color! Thanks for the chance! Love your Washington layout! I've got Summer Fresh and Sweet Day collection and I'm so loving them. Would love to win a spot in Amy's class. Thanks for the chance. This class sound great! Thanks for the chance. I love your DC page - wonderful! Thanks for the great giveaway, I think I really need this class ;-) My 2peas name is scrap2010.